Psychological ownership (PO) is a sense of being psychologically tied to an object to the extent that it becomes part of the extended self. As technology becomes ubiquitous in daily lives, research have shown the potential of this concept to influence users’ behavior. 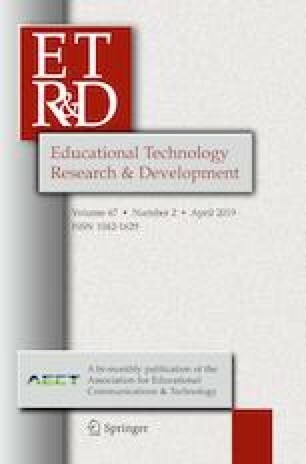 Hence, this study incorporates PO and its antecedents with the beliefs of perceived ease of use (PEU) and perceived usefulness (PU) to predict teachers’ intention to continue using a cloud-based virtual learning environment (cVLE). A hypothesized model with direct and mediated relationships was tested with data obtained from 1068 practicing secondary school teachers using the cVLE. Results from structural equation modeling supported the model, which explained 56.3% of variance in continuance intention with sufficient predictive relevance (Stone–Geisser Q2 = 0.463). Results demonstrated that the tenets of PO hold true in the cVLE context, as a significant influence to PEU and PU, as well as a significant mediator in the hypothesized model. PEU was found to have a stronger effect than PU on continuance intention, implying its importance despite teachers having gained experience in using it and the cVLE considered as user-friendly. This research is funded by Universiti Tunku Abdul Rahman Research Fund (UTARRF) Grant Number 6200/P23. Fisher, J. F., Bushko, K., & White, J. (2017). Blended beyond borders: A scan of blended learning obstacles and opportunities in Brazil, Malaysia, and South Africa. Christensen Institute. https://www.christenseninstitute.org. FrogAsia. (2014). About us. https://www.frogasia.com/v3/aboutus/. Huang, H., Parolia, N., & Cheng, K. (2016). Willingness and ability to perform information security compliance behavior: Psychological ownership and self-efficacy perspective. In Paper presented at the 20th Pacific Asia conference on information systems, Chiayi, Taiwan. http://aisel.aisnet.org/pacis2016/57. Ministry of Education Malaysia. (2018, August 12). Malaysian education quality standard 2nd wave. https://moe.gov.my/index.php/en/arkib/pemberitahuan/2018/4183-skpmg2-2018. United Nations Educational, Scientific and Cultural Organization, UNESCO. (2013). Malaysia education policy review abridged report. http://www.unesco.org/new/fileadmin/MULTIMEDIA/HQ/ED/pdf/M_EPR-abridged-report-Annex-24052013.pdf.